Flagship campus student leaders recently committed an evening by continuing the volunteer efforts for Palm Beach County Cares. 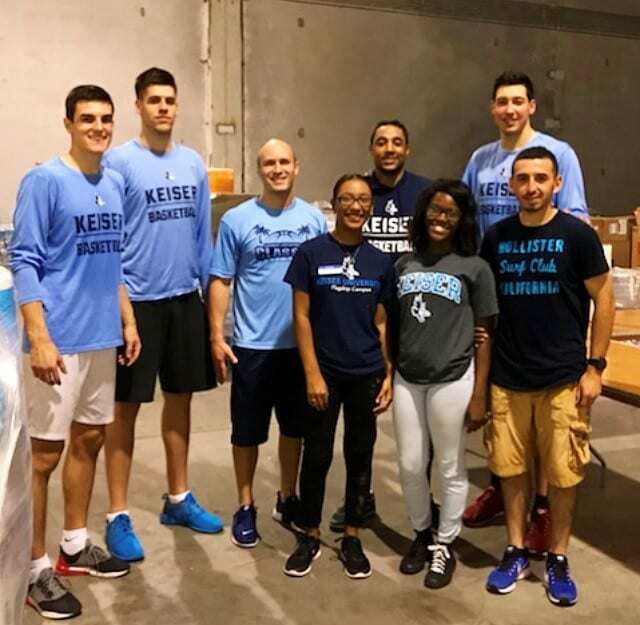 The student group was comprised of Student Government representatives, a Resident Assistant and student athletes from the Men’s Basketball team. Together the students assisted in organizing supplies that will be shipped to Puerto Rico and the US Virgin Islands later this week. Commercial flights are set to take over 100,000 pounds of water, food, paper goods and hygiene products to Puerto Rico and the US Virgin Islands.